According to Drugs.com, jojoba seeds come from the evergreen Simmondsia chinensis, or jojoba shrub, which is native to Arizona, California and Northern Mexico. These seeds are used to produce jojoba oil, which is used in many cosmetic and skin care treatments. The jojoba oil is different from other herbal oils because it contains an extremely high percentage (97%) of wax esters that make it more similar to whale oil than to traditional vegetable oils. Jojoba oil was traditionally used by Native Americans and early Mexicans as a hair conditioner and it was used in rituals, cooking and medicines, says Drugs.com. The Bureau of Indian Affairs in the United States has funded study of the jojoba plant because it is a viable cash crop for the southwestern Native Americans. The site says that in 1973, after the oil from the sperm whale was banned, cosmetic companies began to use jojoba oil as an ingredient instead. Drugs.com says that jojoba oil is used to treat several skin conditions. It is reported to relieve dry skin and help guard against hair loss. It’s also useful for treating acne, psoriasis, skin irritations, sunburn and chapped skin. 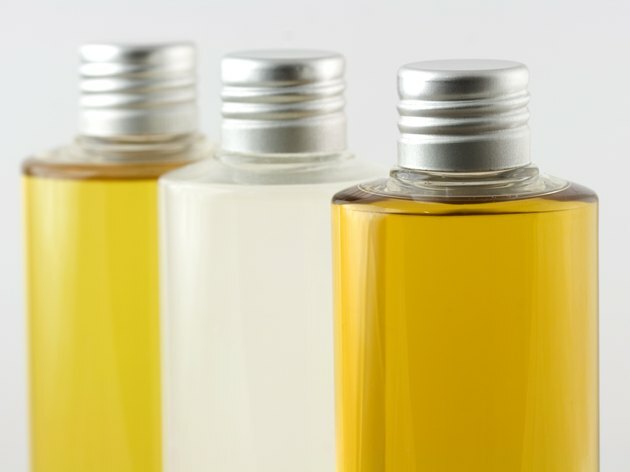 Jojoba oil is also often used as an industrial lubricant because it doesn’t break down when it is under pressure or exposed to high temperatures. Research published on the PubMed.gov website concludes that jojoba oil is not only safe for use in cosmetic products, but it has also shown to be an effective moisturizer for the skin. According to the Cosmetics Database website, jojoba oil is should not be ingested, but when used as an ingredient in cosmetics and skin care products, it is considered to be quite safe. Cosmetics Info also reports that the use of jojoba oil in cosmetic products is considered to be safe. Some people may develop contact dermatitis when using jojoba oil on the skin. If this occurs, discontinue its use says the Drugs.com site. Jojoba should not be ingested due to toxic effects. For most users, jojoba oil is considered to be generally safe. According to the Cosmetics Safety Database website, the most common products that report using jojoba as an ingredient include moisturizers, lipstick, lip gloss, hair conditioner, body oil, hand cream, lip balm, facial cleanser and in anti-aging products. PubMed.gov: Evaluation of additive effects of hydrolyzed jojoba (Simmondsia chinensis) esters and glycerol: a preliminary study.